Hand Made Amethyst Dangling Earrings. 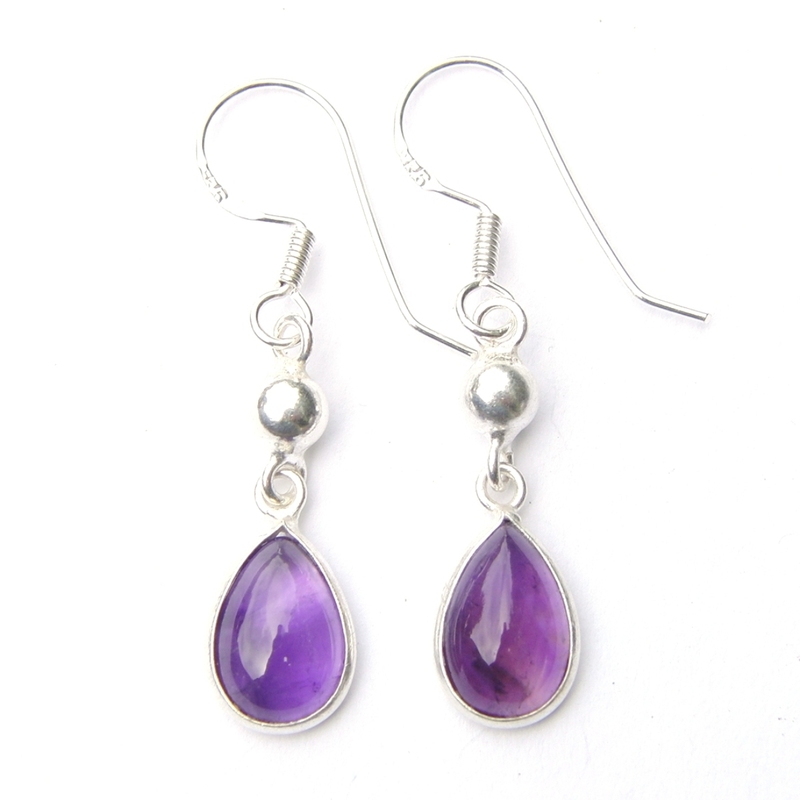 These Lovely Sterling Silver Amethyst Dangling Earrings have a 5mm silver ball attached to Pretty 8mm x 12mm Teardrop Cabs. They are approx 2 1/2cm excluding hooks. This website is strictly for approved Wholesale customers only, if you are looking to buy these Amethyst Dangling Earrings from a retail store, please visit Shooting Star. So a few years ago we started to design our own Line. They were very well received and we found we had a great product that lots of shops wanted to stock. At this point we launched our Wholesale Business.